Once in awhile manufacturers surprised us with computers of very unusual form factor. It often defer so much that you will be deem as unusual if you are an owner of it. Unusual could mean that you look really cool with it or you are just a weirdo. The Dell Adamo XPS is one such device, launch in Singapore at this event, it is also quite surprising that it is not sold at premium price. Very smart move indeed by Dell. The price tag and performance of cheap notebooks are very different as compared to the past, even as recent as 3 or 4 years ago. 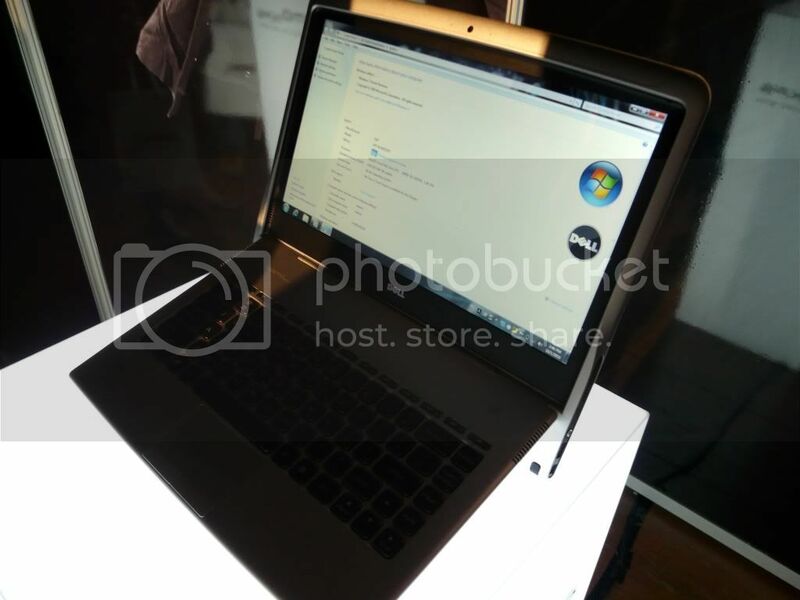 Today, a netbook cost about 600 bucks while not a speed demon, will suit most consumers. In other words, only the rich and the geek will purchase computers of high end specifications. Question is “How big is that market segment?”. But then again, Dell Adamo XPS probably will not get widespread adoption because of its form factor. And Dell’s brochure covered most of its unique features; the slide-your-hand-to-open latching device and the replacing battery in sleep mode. It is not as flimsy as it looks. The aluminum casing feels very sturdy and the laptop will not shake due to typing on the keyboard. The keyboard are the pebble-type and its pretty comfortable to type on. And of course, this Adamo XPS will certainly allow you to carry it round all day long. Outside of the event, Adamo XPS has originally been fully launched back in January’s Consumer Electronic Show in Las Vegas, USA. 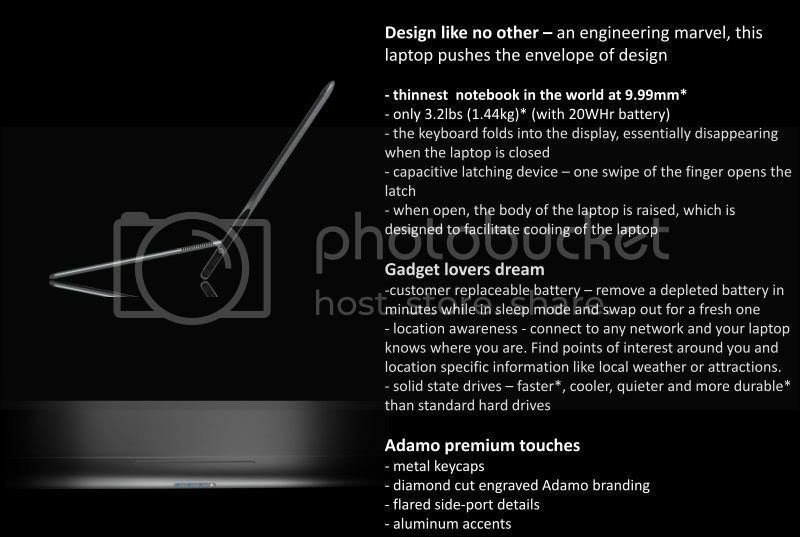 And many gadgets site in USA said that Dell actually produced the Adamo XPS with the intention to show off their technology advancement and try to change perceptions that Dell only produces cheap notebooks with existing designs. Well… that could be in some ways true. But one way or another, this product is certainly usable, buyable and show-off-able. Samsung Application Store: Is it Samsung only?